"Me and the manager had good conversations in the last couple of days, where really he told me what he wanted from me." 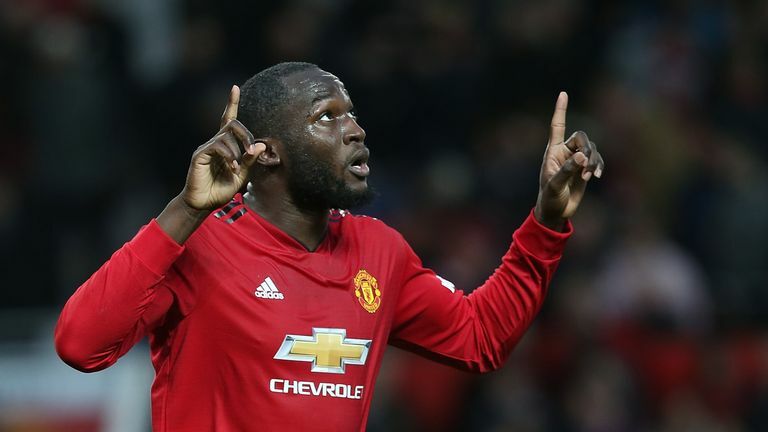 Romelu Lukaku says he is clearer on his Manchester United role after speaking with Jose Mourinho and believes he has finally emerged from his post-World Cup slump. Lukaku scored 27 goals in an impressive debut campaign at Old Trafford but the 25-year-old has struggled to replicate that form this term. But the 25-year-old ended his 12-match goalless streak for United at Southampton last weekend and then scored at Old Trafford for the first time since March in Saturday's 4-1 win against Fulham - their first win in five league games. I know from my side I have to do better, and I just keep looking forward and improving, trying to add into my game and help the team to win. When asked whether external scrutiny had weighed on him, Lukaku said: "No, no, not really. "I think I just need to keep working hard. Me and the manager had good conversations in the last couple of days, where really he told me what he wanted from me. "I know from my side I have to do better, and I just keep looking forward and improving, trying to add into my game and help the team to win." Highlights from Manchester United's win against Fulham in the Premier League. Despite his manager coming under criticism this season, Lukaku insisted he would "go through a brick wall for him" last month. Asked what he was not doing well enough, the striker said: "Not enough intensity. I played with not enough aggression, I think. "[Against Fulham] I think I played with intensity like everybody else did. For me, I was happy to play at a decent level again and now it's all about improving and continuing on a consistent basis." Lukaku also says he has been looking to lose muscle, gained at this summer's World Cup where he scored four goals to help Belgium finish third. "(I added) a little bit of muscle," he added. "It was at the World Cup. I just felt great and I think I played great over there, and then when I came back it is a different type of style. "When you are in the Premier League, I cannot play with the same amount of muscle as international football here in the Premier League. That was something that when I came back I knew straightaway 'I cannot play in this style like this'. He added: "After the World Cup, I think I really was a bit tired. "But, you know, I had the same thing in 2014 after the World Cup when I came back to Everton I was really in a slump after the World Cup. "So, now I think I am in a decent level again and ready to go again."